The coalition of companies jockeying with Amazon.com (AMZN) for a lucrative Pentagon computing contract is far bigger than previously reported, signaling added heft behind efforts to keep the work from going exclusively to the world’s largest cloud services provider. SAP America (SAP), General Dynamics’ (GD) CSRA unit, Red Hat (RHT) and VMware (VMW) are among at least nine companies that have coordinated their opposition to the government awarding the contract to a single provider, according to emails obtained by Bloomberg News. The Amazon cloud services business leads the market and is widely perceived to be the front-runner. The most active members of the coalition trying to fend off an Amazon cloud win are Oracle (ORCL), Microsoft (MSFT) and International Business Machines (IBM), according to two people familiar with the matter. Other companies involved include Dell Technologies (DVMT) and Hewlett Packard Enterprise (HPE), Bloomberg has reported. SAP and the others aren’t considered top contenders for the contract. But the companies are banding together to fight the Pentagon’s plans to award it to a single bidder. They’re concerned it could disrupt their established business model for obtaining military contracts. The Pentagon announced a winner-take-all competition for the multibillion-dollar cloud services contract in March. It has since paused the bidding process for the project. The reason is it would transition massive amounts of Defense Department data to a commercially operated cloud system. The government has said it still plans to award the contract by September. Representatives for SAP, Red Hat, CSRA and VMware declined to comment. The interest is widespread among technology companies in pressing the Pentagon to change its procurement approach. For one, it indicates the importance of the lucrative contract. Providers are struggling to catch up to Amazon cloud. The same is true for firms that sell software and other technology to federal agencies. Companies have begun conversations about jointly bidding for the contract known as Joint Enterprise Defense Infrastructure, or JEDI, sources say. The Pentagon has tapped Dana Deasy to be its new chief information officer to oversee the contract. Members of the coalition welcome the move, sources say. “Dana Deasy is a highly professional, seasoned, transformational CIO who will lead the DoD’s technology efforts with distinction,” Oracle’s Senior Vice President Ken Glueck said in a statement. Deasy’s comments before the House Oversight and Government Reform Committee in May pleased the coalition, sources say. While he didn’t address the JEDI contract specifically, he talked about the importance of using multiple cloud providers. Deasy previously worked as global chief information officer for JPMorgan Chase (JPM) at a time when the company made major investments to transition to a public cloud. He held similar positions at the North American unit of General Motors (GM), Tyco International and Siemens’ (SIEGY) North American operation. 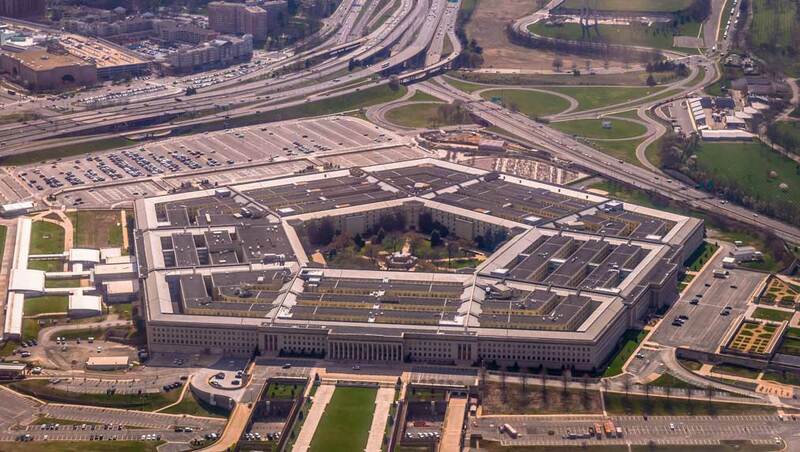 “Under Deasy’s leadership, the department will gradually consolidate its disparate networks, data centers and cloud efforts to manage them at the enterprise level,” Pentagon spokeswoman Heather Babb said in a statement Monday. To advance their agenda, the tech allies have been strategizing by email and phone. They’ve courted trade and mainstream media and lobbying lawmakers, defense officials and the White House, Bloomberg has reported. The competitive cloud coalition has notched some wins. The House committee in charge of federal spending approved a Defense Department funding bill this month. It would halt funding for the contract until the Pentagon submits a strategy to sustain competition and use multiple cloud-service providers. It is the third attempt by lawmakers to influence the process. The full House is scheduled to take up the spending measure this week.